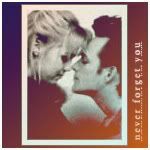 Fan Forum > TV Shows - Past > Beverly Hills 90210 > Dylan♥Kelly #67: You Give Me Something to Believe In. See, the template is good, quick and easy. You make it sound like we have some special mechanism. It's just planning ahead. So the last couple threads went by so quick that we didn't change anything, not even the featured icons. Hey, what was the mystery favorite Dy/K icon of yours I didn't include in the icon strip thing? Hee. That was, in part, to color match with Dylan's shirt in the icon almost above. I actually don't much like that "Parental Guidance" moment except for the cute body posturing. Stylistically, it didn't fit in with the others, though. Esp. since I knew I'd include that DD one, which was similar on that point. But anyway ... oh, hey, you just made that animation, didn't you? Let me go find the end of the novel excerpts I still haven't read. Geez, you guys are fast. I'll have to go catch up on what I missed in the last one. Nope I made that animation a while back It must have been when we were posting like mad and you must of missed it. Yes! In the beginning of "Castles In the Sand". What else could, "You want me to tell B about us? ", said with the tone he had, mean? And the context was him trying to convince her not to break things off, like, 'Alright, if that's the obstacle, you want me to take care of it? I will.' 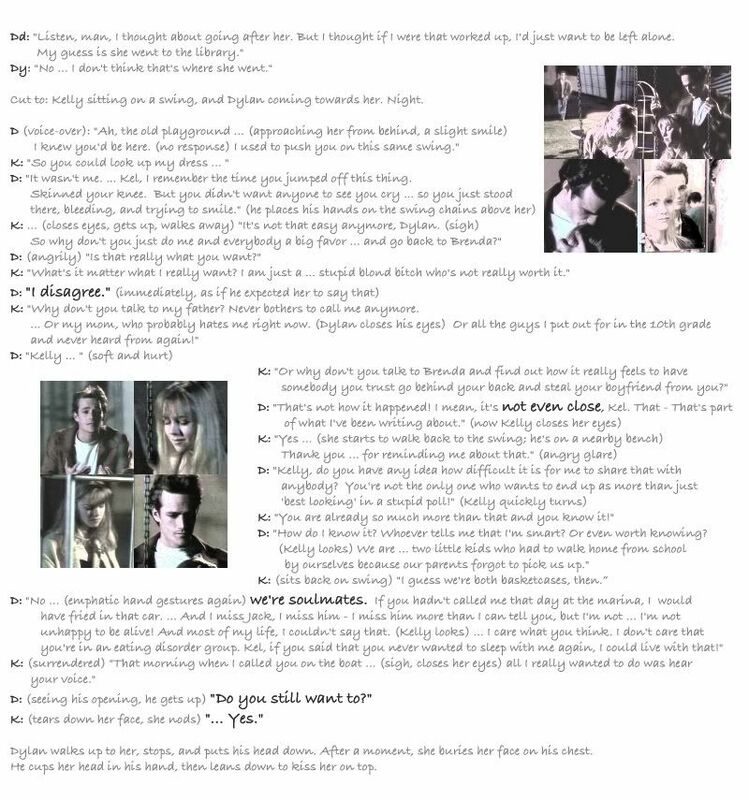 And in one of the BH annuals , they have a script excerpt from that page and it says that in that moment, had K asked him to break up with B, he would have. Still doesn't mean, though, that Kelly would have enough faith to trust he'd go through with it once B returned, but that's typical Kelly. Especially scared and lookin' for excuses Kelly. Whom I totally love for it, don't get me wrong. Now...oh I so *want* to believe you, and Dylan! 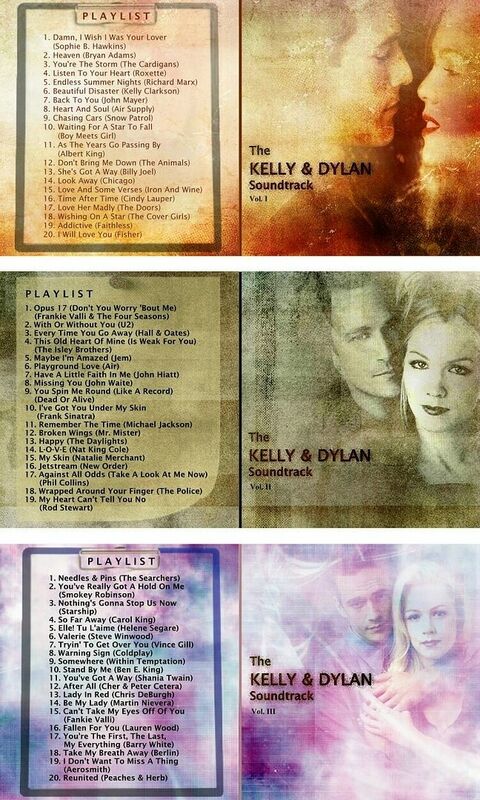 because I do love Dylan, really I do, but maybe I'm just too far stuck in Kelly's head in this situation. This is totally how I saw it too. I really didn't believe that he actually would tell Brenda....well he would if he had said he would, because dylan is a man of his word, but I don't think he really wanted too. I think that moment at the welcome back party for brenda when brenda and kelly come down the stairs and dylan is at the door (this may be just the way the camera shot it) but I totally didn't see Dylan even *notice* Kelly! He just had this huge smile for Brenda, and in that moment I think all of Kelly's fears were confirmed. She was thinking she was right, in that moment he isn't thinking of her, and doesn't even *see* her.... I was ready to cry for her at that stage. 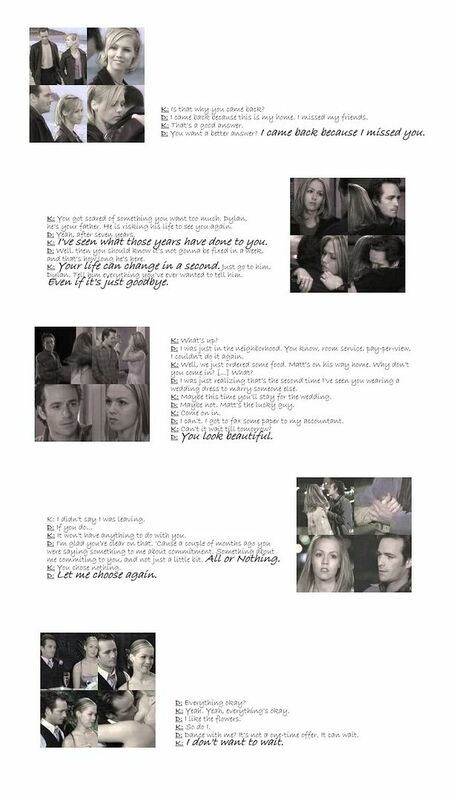 We do see the "bye" moment, where he looks at her, but just seeing him with brenda, making out and all that, i could see how much he missed B, and still loved her. I didn't see him thinking about K at all, until they are at the beach again the next day. and even then it seemed more as him, feeling sorry for K, checking up on her, but still not anywhere near prepared to leave B at that time. then there is of course the "you made it happen" he says to kelly....but...hmm I don't know. Well that's okay because - check it out, man - I missed an earlier passage. Kelly and Dylan stood for a long time watching the baby sleep. Kelly didn't understand why, but watching Erin sleep was hypnotic and infinitely interesting. She and Dylan wound up swaying together at the side of the crib in time to the soft measure of Erin's breathing. "So, you want to see the end of Casablanca?" Dylan asked. Kelly did, but it was late and telling Dylan to go home was becoming more difficult with each passing moment. "Can you leave it?" Kelly asked. "I'll bring it to the beach tomorrow and you can return it to the video store. Or I can return it." "Whatever," Dylan said, and shrugged. He seemed to be a little disappointed. Kelly was sorry about that, but she felt Brenda's presence again. She was already disapproving. Dylan staying longer would only make matters worse. 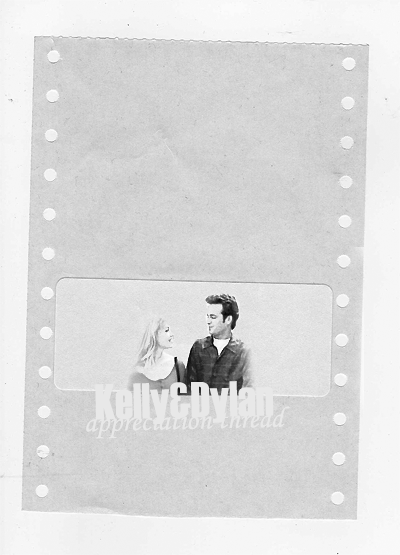 Kelly allowed Dylan to give her a peck on the cheek before he left. After he was gone, she leaned against the front door for a while and wondered why life had to be so complicated. Afterward she went upstairs and watched the end of Casablanca. Dylan was right - it didn't matter that the movie was in black and white. Casablanca had to be the most romantic movie ever made. While she got ready for bed Kelly thought about herself, Brenda, and Dylan in relation to the characters in the film. Would Brenda give her the letters of transit and allow her and Dylan to go off together because it was the right thing to do? Would Kelly allow Dylan and Brenda to go off? Was real life ever romantic enough? Kelly decided that it wasn't, took one last look at Erin, and went to sleep on the couch in the den. The next morning Kelly returned the Casablanca tape and drove to the beach club. The day was beautiful and Kelly's mind was preoccupied with enjoying it. At the beach club, she found Dylan in the restaurant eating breakfast and she joined him for coffee and a bagel. "Thanks for keeping me company last night," she said. "Here's looking at you, kid," Dylan said in his Bogart voice, and took a sip of his coffee. Despite the salute Dylan just made with his coffee, he wouldn't look her in the eye; she found that she couldn't look him in the eye either. Something had changed between them. She felt close to him in a way she never had before, and the feeling scared her a little. It seemed that despite her best efforts, she and Dylan were doing something behind Brenda's back. They weren't doing much yet, but if they didn't both use a great deal of self-control, they would be doing more. After breakfast they went onto the sand and did some stretching exercises to prepare for their next tournament volleyball game. They poked the ball up and back at each other over the net of an empty court. But when they saw their opponents were Brooke and Steve, Kelly and Dylan gave up all hope of winning and they goofed their way through the game. They weren't much of a challenge for Brooke and Steve, but the situation would not have been much different had Kelly and Dylan played their best. The outcome was clear from the start, and by the time they finished all four of them were laughing hysterically. Steve got even bigger laughs when he pretended to be astonished that he and Brooke had won. Steve offered to buy a round of soft drinks for everyone, and the four of them toasted the victory. Steve suggested that Dylan stick to surfing, and Dylan offered to give Steve lessons. Steve declined because he felt that playing against the ocean was a mug's game. Besides, Steve liked a sport where he could have a partner. He smiled meaningfully at Brooke. Kelly thought this was all pretty entertaining because she could see by the way that Brooke was acting that she considered Steve to be no more than a friend. He was going to get hurt if he didn't wake up pretty soon, but Kelly could count on Steve to ignore the obvious till it punched him in the stomach. Shortly, Dylan announced that he had things to do and stood up. He glanced fondly at Kelly for a moment then suddenly walked away, leaving her frustrated with him and with herself. Plus, the show ends good. This is totally how I saw it too. I really didn't believe that he actually would tell Brenda....well he would if he had said he would, because dylan is a man of his word, but I don't think he really wanted too. I think that moment at the welcome back party for brenda when brenda and kelly come down the stairs and dylan is at the door (this may be just the way the camera shot it) but I totally didn't see Dylan even *notice* Kelly! He just had this huge smile for Brenda, and in that moment I think all of Kelly's fears were confirmed. She was thinking she was right, in that moment he isn't thinking of her, and doesn't even *see* her.... I was ready to cry for her at that stage. We do see the "bye" moment, where he looks at her, but just seeing him with brenda, making out and all that, i could see how much he missed B, and still loved her. I didn't see him thinking about K at all, until they are at the beach again the next day. and even then it seemed more as him, feeling sorry for K, checking up on her, but still not anywhere near prepared to leave B at that time. Very confused. He had two girls who loved him. Casablanca had to be the most romantic movie ever made. While she got ready for bed Kelly thought about herself, Brenda, and Dylan in relation to the characters in the film. She and Dylan wound up swaying together at the side of the crib in time to the soft measure of Erin's breathing. A slight amendment to what I said earlier. I can picture him wanting to tell B and be with K the way his mindset is before his gf gets back into town. Then after, I can imagine him confused about which is best, still wanting K and being fearful of B's reaction to the truth, but I still think that had Kelly ever outright consented to him coming clean and letting the chips fall ... he would have. Dylan was annoyed to hell with the idea of playing games, so why would he be bluffing to Kelly? And I'll reiterate something for the audience, since my last post on this is now lost at the end of thread 66: Why would he just want to get a reaction from her ... if not to get her to admit she wants to be with him, which would itself demand that he break up with B? And, to quote Dylan , "Have you ever known me to say something I didn't mean?" He just had this huge smile for Brenda, and in that moment I think all of Kelly's fears were confirmed. She was thinking she was right, in that moment he isn't thinking of her, and doesn't even *see* her.... I was ready to cry for her at that stage. Yeah , I remember thinking that for Kelly. But see, I thought that was what Kelly thought, not necessarily Dylan. I thought he was just being careless, but not purposefully so (unless you theorize that he was trying to make K jealous /rub it all in her face). His behavior towards B could not change if him and K were to keep things a secret, and that was her wish. In his "Good night, Kel" staredown, I thought for sure he was sending her a message. That's what I'm saying. Though it could be construed as him liking the transfer of responsibility if he were having doubts about them. Yeah, I got a bit of that. Re: the Casablanca thing, I'm really gonna have to make it a point to see this movie. I remember they put it on tv a couple years after these D/K eps aired and I tried to watch it but just couldn't get into it. Same reason I tried to watch that marlon brando..or was it james dean? (I'm hopeless with old movies) the one where they are at the observatory? is that a movie or am i making this up? Though it could be construed as him liking the transfer of responsibility if he were having doubts about them. Re: the Casablanca thing, I'm really gonna have to make it a point to see this movie. I re-posted the comparison in the last thread. Did you see it? 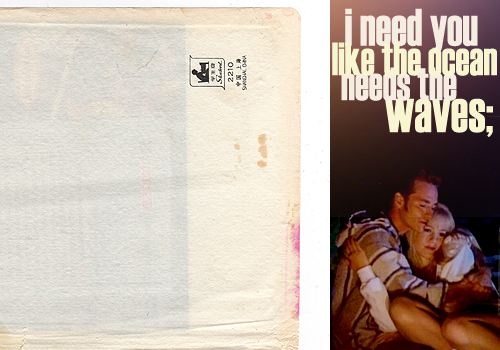 "Rebel Without A Cause"/James Dean, which I watched as a teen for the same Dy/K reasons and hated it. I should probably re-watch that as well. I always thought Dylan was "above" that. *bells! * I thought so too. ... Well, until S5. That's what we're all here for. To decipher the hidden messages, LOL. As gigantic a fan I am, I feel like I need to re-watch everything in the full context of the episodes. Plus, it would be embarrassing to miss any anvils dropped. seemed so sure of himself, like confident in his words, his beliefs etc, that's one of the things that made me like him so much. It's the whole thinking for yourself/not doing things to appease others angle, perhaps. You couldn't manipulate Dylan and he wasn't into treating others that way either. But back to Kelly, LOL ... oh yes, the kiss that took him off guard. I think we all know what you're talking about. He looks like he all but saw god afterwards. And all Kelly can do is look at him like, 'Oh, no ... '. that's it! 90210 made me "attempt" to watch all these classics and I still couldn't understand them, dylan would be so disappointed in me I will try again tho. Although now that most video's at "video stores" are becoming extinct I don't know how, have they put any of those old movies on to dvd? That's what we're all here for. To decipher the hidden messages, LOL. as for that kiss...and well a lot of D/K kisses...ah they just got so lost in each other.....and I got lost watching them get lost in each other captivating!